Members at Sotheby’s: Dyke Benjamin, Phillip Winegar, Caroline Rubinstein, Seana Anderson, Christopher de Hamel, David Redden and Dodie Armstrong. In November, Sotheby’s London offered at auction three Renaissance masterworks: a major drawing by Raphael (1483-1520); and two 15th century illuminated manuscripts, produced in Flanders for two of the leading patrons of their day, and among the most important examples of their kind ever to come to auction. 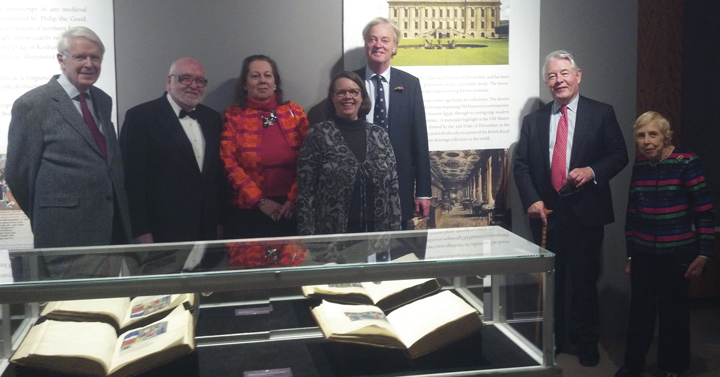 Christopher de Hamel, Donnelley Fellow Librarian of Corpus Christi College, Cambridge, gave a special showing to ATBL members of these treasures during their stay at Sotheby’s New York.